Which Carbs Are Best and How Much Should You Eat? Carbohydrates are a macronutrient that, when broken down, turns into sugar (glucose) and is used by the body as energy or fuel. Foods that contain carbohydrates impact blood sugars the most. If you have diabetes or know someone who does, you likely have heard that you should lower your carbohydrate intake. People with diabetes are unable to utilize carbohydrates the same way as someone without diabetes, making it very important to understand which foods contain carbohydrates, which ones are best to eat and how to practice portion control. Lowering your carbohydrate intake and ingesting good quality carbohydrates will help you to lower your blood sugars and lose weight. Which Carbohydrates Are Best for My Blood Sugars? Once you know where carbohydrates come from, it's important to understand how different carbohydrates affect blood sugar. When metabolized, carbohydrates get broken down and turn into sugar. Insulin, the hormone produced by the pancreas, takes sugar from the blood to the cells to use for energy. When you have diabetes, either your pancreas isn't making enough insulin or the insulin it is making isn't being used efficiently. Simple or refined carbohydrates, such as white breads and sweets, are broken down more quickly, creating a faster blood sugar surge and placing more demand on the pancreas. Over time, excess stress on the pancreas can cause it to burn out, making it difficult to keep up with the glucose load, resulting in high blood sugars. For better blood sugar control its best to choose more complex carbohydrates, rich in fiber such as whole grains, beans, sweet potatoes, etc. These types of carbohydrates produce a slower glucose rise. In addition, these types of foods are also more nutrient and fiber-rich, making them better choices for weight loss and overall health. It's important to note that everyone responds to certain carbohydrates differently. In efforts to find a plan that works for you, you'll have to do some experimenting. Working with a certified diabetes educator or registered dietitian can help you set up an individualized meal plan that is nutritionally well rounded. How Many Carbohydrates Should I Have and How Do I Measure Them? Although certain carbohydrates are healthier than others, you cannot eat an endless amount without negatively impacting your blood sugars. 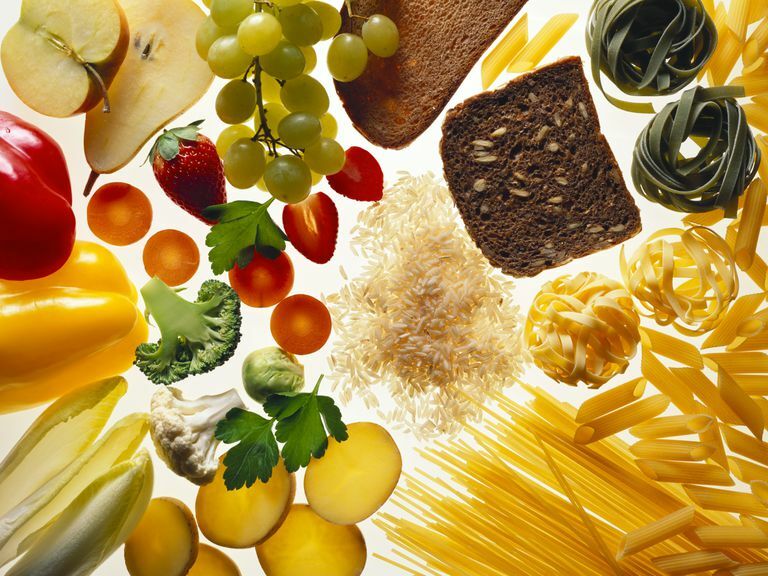 The quantity of carbohydrates is just as important as which carbohydrates you choose to eat. Healthy carbohydrates are not free foods — all carbohydrates count. For example, oatmeal is a complex, high fiber carbohydrate, but it is still a carbohydrate and will raise blood sugar. Therefore, it's important to portion control. The amount of carbohydrates you should eat per meal varies from person to person and is determined by a variety of factors such as gender, calorie needs, weight, blood sugar control, and activity level. For most people following a consistent carbohydrate meal plan, they are able to eat about 45-60 grams of carbohydrates per meal and obtain good blood sugar control. Variances occur from person to person. With breakfast, for example, some people benefit from eating a lower carbohydrate breakfast while others can monitor their blood sugars just by changing their breakfast cereal of choice. If you are trying to follow a consistent carbohydrate diet and want to learn how to count carbohydrates, you'll need to learn how to read a label. You may also want to familiarize yourself with certain apps or other tools such as carbohydrate counting, a guide to eating healthy with diabetes, and 5 apps you want to know about if you have diabetes. Other topics that can help you to understand more about carbohydrates and their effect on blood sugar such as this guide to complex, simple, refined carbohydrates and the glycemic index. National Institute of Diabetes and Digestive and Kidney Diseases. Carbohydrate counting and diabetes.